THE DEMOTION of the GIMP in Ubuntu GNU/Linux is still being discussed and Mono folks choose to stay out of it, including one of the developers of F-Spot, Stephane Delcroix (see "Mono and GNOME 3.0". Rumor has it that, during latest UDS, Ubuntu planned to drop Gimp from the default distro and the LiveCD. I won’t comment this decision as 1) I have no clue if that’s a rumor or more, 2) it was already commented too much, 3) I’m not a whiner, 4) there’s a rationale behind that decision and I think I understand it, 5) the full Gimp is only one apt-get away. He says he “won’t comment [about] this decision,” but then he does comment about it. According to this report, now is the chance to propose a Mono-free substitute. This means that a complex program like The GIMP with its large amount of plugins and intimidating interface has been shown the door. A replacement graphics package has not yet been determined. Canonical can add the latest gThumb [1, 2] and reduce/remove dependency on Mono. In other news, Novell’s Sandy Armstrong puts Mono deeper inside Ubuntu (Ubuntu One) and Astrum has made this quick appearance in the OpenSUSE Web site. On wednesday Will and me visited the Usability Symposium 2009 of the Network for User Oriented Software Design, a group which consists mainly of people from the Georg Simon Ohm University of Applied Sciences here in Nuernberg and people from local companies such as Astrum. It was the first symposium of this group and they gave three presentations about software usability. Novell has just made a couple of related announcements about SUSE appliances, but it is being dishonest about them. The press release from Novell states in the headline that this is an “Industry’s First Solution”, but just like with Astrum, this is a case of Novell imitating a partner. We shall come back to it in a moment. Independent Software Vendors (ISVs) are demonstrating tremendous support for the SUSE(R) Appliance Program from Novell, the industry’s first, complete, end-to-end appliance solution that enables ISVs to rapidly build, update, configure and go to market with fully supported software and virtual appliances. These ISVs are taking advantage of the comprehensive go-to-market support for appliances offered by Novell, including distribution channel, joint marketing, pricing, and redistribution agreements that reduce the time to get an evaluation or production appliance ready for the market. Novell’s SUSE Appliance Program announcement today promises to deliver the same “set it and forget it” benefits. There was also a new video. Linux is well known for being very customizable, but with SUSE Studio, things are taken to an entirely new level. Imagine taking a base template, building on top of it with your personal software choices, then configuring countless other aspects (even a SQL database), and then building it as a bootable ISO or VM. That’s exactly what makes SUSE Studio so great. Then came a bunch of news sites which covered it. Novell has launched a free group of technologies that will allow developers to create and deploy software appliances that can run in any virtual environment. SUSE Studio went into alpha in February, when Novell announced a partnership to package up SUSE Linux appliances and distribute them inside virtual machines compatible with VMware’s ESX Server hypervisor. SUSE Studio is a homegrown Linux and appliance software spinner that now has an improved user interface, according to Matt Richards, senior program manager for the appliance program at Novell. Novell has announced the launch of the SUSE Appliance Program for Independent Software Vendors (ISVs). With the Appliance Program, ISVs can can create software appliances, such as an email server for a small office, using SUSE Linux Enterprise or openSUSE and SUSE Studio, test their appliances and get them to the market. Today, Novell announced its SUSE Appliance Program, which encompasses Suse Studio Online, a customizable, lightweight version of Linux called SUSE Linux Enterprise JeOS (Just Enough Operating System), tie-ins with Amazon’s cloud services, and full support for custom software. Industry’s first? A stretch, to be sure, but never let the facts get in the way of a good story, I suppose. It’s worth remembering that Compiz predates Novell’s patent deal with Microsoft. If there is any substance to the argument above, this would not be the first example where developers are leaving Novell because of the Novell/Microsoft patent deal. This actually leads to a different and older story; Novell betrayed partners like Astrum [1, 2, 3] and they got sued for it too, but what about the relationship with AMD? There are those who insist that hardware acceleration is an area where Novell contributes a lot, but had it not been Novell, it probably would have been more of Red Hat. “AMD was close to going through with the canning its Novell contract, which would have effectively spelled the death of RadeonHD.”One known example of contribution is the AMD-Novell relationship. 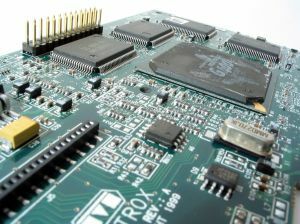 But Novell angered AMD in a major way some time ago , despite the fact that AMD and Novell had enjoyed a good relation, as demonstrated publicly in LinuxWorld 2007. It was quite an affair and several press releases came out at the time (this did not recur in LinuxWorld 2008). 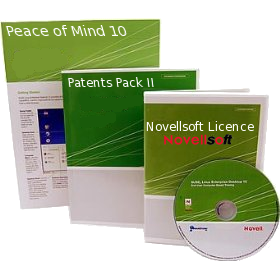 AMD and Novell were a good match; both were abused by convicted monopolists. What few people know is that AMD almost cut Novell off on their RadeonHD contract. AMD was getting especially steamed over RadeonHD avoiding AtomBIOS. The RadeonHD developers were not entirely aware of this at the time, and maybe they still don’t know. A senior AMD official wrote: “And to think I spent the last four months of my life trying to save their sorry asses. What a fool I was. [...] it was scheduled to be finished 5 weeks ago. [...] I escalated high and hard within Novell’s senior management.” It was the Novell developers who were causing the issues, whereas Novell’s management was not the one trying to knock AMD over AtomBIOS. AMD was paying Novell to write a driver to use AtomBIOS, but Novell continued going forward bashing AtomBIOS and avoiding it. The real reason, simply put, was that AtomBIOS is written horribly, or that’s how Novell viewed it anyway. The developers said it was their intention all along to hard-code it with no AtomBIOS. AMD was close to going through with the canning its Novell contract, which would have effectively spelled the death of RadeonHD. Were the specs sufficient for anyone else to take over? Hypothetically speaking, for some parts, yes. But for every document that’s publicly available, there are at least three times as many NDA documents than Novell had. However, if they had canned RadeonHD, it’s reasonable to suspect that they would have steered their resources towards Red Hat as they already do for the -ati driver. NDAs are used all the time when they release documentation that has yet to be sanitised and for documentation and hardware on unreleased products. The danger with Novell is one that revolves around control. It seems like AMD clings on to control. They don’t want the community to leapfrog its own development. Those NDAs were part of this arrangement and are in some sense akin to what Microsoft arranged with Novell. Microsoft makes source code visible, but only Novell can use it. This leads to a liability path and there’s also the issue of Linux (or broadly speaking, the Free Desktop) depending on Novell’s existence. In a sense, NDAs, just like RAND and software patents, are inherently incompatible with the spirit and goals of the GNU project. Back in May, Novell got sued by a former partner for its resorting to a Microsoft-like betrayal (embrace-and-replace tactics). Novell’s response to this did not impress and we have just found out that Novell lost all motions to dismiss the case. It is therefore headed for a hearing on November 13th 2008. That’s another pretty major blow for Novell, more pressing issues being the sinking market cap which descends and approaches just $1.6 billion now. 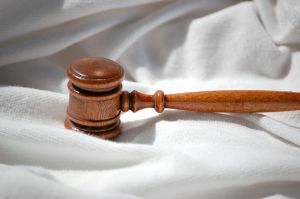 Novell realises now that the judge sees merits in the plaintiff’s (Astrum) claims, so this could go on for quite some time and prove costly, not just distracting. There is also a very interesting development in the the Novell vs. Microsoft antitrust [1, 2, 3, 4, 5, 6, 7, 8, 9, 10, 11], suggesting that Microsoft's dirty secrets are alive and well. We wrote about this before. Guess what? It turns out that 158 boxes of documents from the Caldera v. Microsoft litigation still exist, and Microsoft is trying to get them. This drama is playing out in the Novell v. Microsoft antitrust lawsuit, and Canopy has been drawn into it too.